The GRC has announced a mid-year GRC Workshop to Yellowstone National Park. The workshop will include a tour of the major geologic features of the park, the site of the greatest concentration of geothermal features in the world, and discussions of its volcanic history, geochemistry, and hydrology. Only 50 spaces are available. Don't be left out, sign up now! The Cost of the workshop: $1,500 for GRC Members, $1,700 for Non-GRC Members. Mexico's energy ministry (Sener) will next month announce the green energy requirements that companies and other users must meet, rules which will "guarantee" that 35% of electricity is generated from renewables by 2024. Energy minister Pedro Joaquín Coldwell made the announcement at a Mexico City wind power conference during which he also said that the results of the country's geothermal "round zero" would be published in July. Businesses and other consumers will be required to comply with the green power rules by 2018, he said. Round zero will determine which projects will be developed by state power company La Comisión Federal de Electricidad (CFE) and which ones will be put out to tender to the private sector. CFE may also form alliances with the private sector to increase the country's renewable generation capacity. Geothermal has been growing since the 2005 Energy Policy Act. Because of tax and loan incentives for particular energy productions, the industry has seen an upswing. Karl Gawell, Executive Director for the Geothermal Energy Association, said 34 new projects have come out since 2005. But it's not fast enough. After pointing out the industry's growth over the past 62 years, Pierre Audinet from The World Bank, said, "It's still very tiny. The pace is just inappropriate." Because there's too much standing in the way. Mike Long of POWER Burns and Roe, proposed that the industry needs sector risk profiles, drilling risk mitigation, transactional support for overseas projects, and the ability to replicate success. Tack on an average of 18 to 24 months for initial permit approval (just to explore an area for viability) and the fact that 90% of geothermal resources are located on federal land, and the industry is fighting an uphill battle. But Nevada's taking steps to make it easier. Keynote speaker, Nevada Senator Dean Heller, motivated by "pure frustration" introduced the Geothermal Exploration Opportunity (GEO) Act. Intended to simplify the review process for initial exploration, the GEO Act streamlines a permitting process that Heller says "doesn't make sense." Ben Matek, Industry Analyst and Research Projects Manager at the Geothermal Energy Association, credited Nevada and California as being the only two states that have really learned to tap into their resources. He hopes states like Alaska and Hawaii will follow. The industry must look internationally. With plenty of money and technology, Doug Glaspey from US Geothermal, Inc. implied the U.S. is maxed out. Thus, the Power Africa initiative has many companies looking at Kenya and Ethiopia, where there's an urgent need and a booming resource. Andrew Palmateer of EAGP said geothermal was the most cost effective base load option for the region, with 15,000 megawatts of potential geothermal resources. Public support is critical. 76 to 90 percent of geothermal projects utilize public debt or equity support, Mafalda Duarte of Climate Investment Funds, pointed out. Therefore, the industry cannot ignore addressing early risk in the public eye. Audinet agreed, adding that the government must be willing to work as a developer to explore the resource and share in drilling costs. Knowledge of geothermal energy is extremely fragmented. Participants of the conference agreed: The wealth of knowledge surrounding geothermal energy is held in the hands of a few developers and engineers. Audinet argued, to a sea of nodding heads, that the industry's political counterparts struggle to understand the industry, its struggles, and its science. A team from Costa Rican utility Instituto Costarricense de Electricidad (ICE) visited Bolivia's Laguna Colorada geothermal project on Wednesday as part of talks for a cooperation agreement between the two countries in the field of geothermal energy. Bolivia plans to build a 100 MW plant in the Laguna Colorada area and has already obtained financing for drilling for the first 50 MW phase from Japan International Cooperation Agency (JICA). ICE's experts confirmed the local potential for geothermal power generation, Bolivian president Evo Morales said after the visit in the southern Potosi department. ICE has experience in geothermal energy. For 2015, the company estimates that 13.09% of the electricity in Costa Rica will come from geothermal plants, the second most important energy source in the country after hydro power, which represents 71.87%. Landsvirkjun, the National Power Company of Iceland has signed a contract with the consortium of Fuji Electric and Balcke Dürr for the purchase of a 45 MW power generating unit and cold end equipment for the Þeistareykir Geothermal Power Station. The project involves the design, manufacture, and installation of the 45 MW steam turbine and generator (power generating unit) and cold end equipment, with the appropriate replacement/spare parts for the 1st phase of the Þeistareykir power project. The project also includes the option of purchasing an additional 45 MW generating unit for the 2nd phase of the project. Construction on the power station is estimated to begin in the spring of this year and on-line power production is planned in the autumn of 2017. Today U.S. west coast utility Pacific Gas and Electric Company (PG&E) issued its 2015 Greenhouse Gas (GHG) Offset Credit Request for Offers (GHG Offset Credit RFO). The goal of the RFO is to procure GHG Offset Credits eligible for compliance with California’s Cap-and-Trade Regulations. Copies of the GHG Offset Credit RFO Protocol and required offer materials are now available on PG&E’s website at http://www.pge.com/rfo. PG&E will conduct a Participants’ Webinar on March 5, 2015 at 11:00 a.m. Pacific Prevailing Time (PPT) to explain the RFO protocol and changes from the prior year’s solicitation. Interested parties may listen in via web conference/dial-in. Call-in details are available on the RFO website. Offers in response to the RFO are due on March 20, 2015 at 1:00 PM PPT. Icelandic rye bread, also known as rugbrauð, is baked underground in Iceland using Geothermal energy. This stuff though… is so far the best bread I’ve ever tasted. It can take upwards of 12 hours to cook, and tends to be on the doughy, moist and sweet side. Serve with Icelandic butter. The method is simple. Allow ingredients within a covered and sealed pot to sink into the Earth near a geothermal hot spot. Steam then cooks the bread. Alterra Power Corp. of Vancouver, Canada has announced that its 66.6% owned Icelandic subsidiary, HS Orka hf, yesterday released audited financial and operating results for the twelve month period ended December 31, 2014. HS Orka is the largest privately owned energy company in Iceland, producing 7% of the country's power needs and 11% of the country's heating needs. Installed geothermal power capacity is 174 MW from the Svartsengi and Reykjanes power plants. In addition, HS Orka generates 150 MW of thermal energy for district heating. Revenue increased 11% to $64.1 million (2013: $57.7 million) due to an increase in retail sales coupled with a strengthening ISK during the year. HS Orka generated $23.5 million of EBITDA and $15.9 million of gross profit in 2014 (an increase of 10% and 13% respectively from 2013), reflecting increased revenue discussed above and a decrease in plant operating and transmission costs partially offset by higher power purchases during the year. Other operating costs increased in 2014 primarily due to the cost of legal proceedings and the cost of preparing for the arbitration hearings connected to the power sales contract with Norðurál Helguvík. The hearings are expected to take place in spring 2016. As part of the ongoing field maintenance program at the Reykjanes field, HS Orka has completed the drilling of a new large diameter reinjection well and commenced drilling of a second well in 2014. A pipeline to carry fluid to the wells is being built and reinjection is expected to commence in early 2015. Enrique Ochoa Reza, CEO of La Comisión Federal de Electricidad (CFE), said the investment for the three plants represents 1.86 billion pesos and they will have a combined capacity of 52 megawatts. Enrique Ochoa Reza, director general de CFE indicó que la inversión para las tres centrales es de 1,860 millones de pesos y tendrán una capacidad conjunta de 52 MW. The Colorado Collaboration for Subsurface Research in Geothermal Energy (Colorado SURGE) is hosting a free workshop on geothermal direct use applications on Wednesday, March 18th at the Colorado School of Mines (CSM) in Golden, Colorado. No remote access is available at this time, so hurry! Space is limited. Akutan, a small island in Alaska’s Aleutian chain, needs 4.2 million gallons of diesel fuel a year to keep the lights on and the houses warm for its fewer than 400 year-round inhabitants, at a high cost both literally and in terms of environmental damage. GRC Member and Western Washington University assistant professor of Geology Pete Stelling is researching how to turn the island’s volcanic core into a geothermal power source that could not only cut the needed amount of imported fuel into a fraction of its current level but transform the quality of life for its inhabitants. Trans-Asia Oil and Energy Development Corp. has raised its stake in a geothermal service contract for the planned 20 MW Mabini geothermal power project located in Batangas. In a disclosure to the Philippine Stock Exchange (PSE), Trans-Asia said it acquired from Basic Energy Corp. (Basic) a 25-percent participating interest in Geothermal Service Contract No. 8. Trans-Asia said it already signed a farm-in agreement and a deed of assignment with Basic Energy providing for its acquisition of such stake. The western EIM created nearly US$6 million in benefits and reduced renewables curtailment in first two months of operation. The western Energy Imbalance Market (EIM), which was launched on November 1, 2014 under an agreement between PacifiCorp and the California Independent System Operator (ISO), has demonstrated demonstrable value. The western EIM was formed with the addition of PacifiCorp’s two balancing authorities covering portions of six western states, PacifiCorp-East (PACE) and PacifiCorp-West (PACW) to the existing ISO market within California. The states are California, Oregon, Washington, Utah, Idaho and Wyoming. Analysis of the first two months of operation produced estimated benefits of US$5.97 million, according to the first quarterly report. This is comprised of an estimated US$1.24 million for the ISO, US$2.31 million for PACE and US$2.42 million for PACW. Comacchio s.r.l. (Italy), for their innovative GEO 909 GT drilling rig allowing faster installation of borehole heat exchangers for shallow geothermal applications. gec-co GmbH (Germany), for their controllable, downhole pressure retention valve for hydrogeothermal installations in aquifers with dissolved minerals and gases. Green Energy Group SA (Norway), for their innovative business model and global technology approach for small-scale geothermal power plants in high enthalpy zones. Mijn Water B.V. (Netherlands), for their intelligent hybrid energy infrastructure for sustainable heating and cooling, based on geothermal buffers (e.g. abandoned mines). The European Commission has launched its “Framework strategy for a resilient Energy Union with a forward-looking climate change policy”. Fails to recognize that the internal energy market cannot be complete if only based on electricity and gas. A true internal energy market should cover heating as well. However, we welcome the Commission’s announcement of new legislation for renewable energy, which should cover electricity as well as heating and the commitment to develop the next generation of renewable energy technologies. The financing of consumers’ higher upfront investment should also encompass the fuel switch to renewables in buildings. Potential investors are reluctant to start developing geothermal power plants in Indonesia because the government has not shown its commitment to this energy business, according to an executive of an energy company. Pertamina Geothermal Energy (PGE) president director Rony Gunawan said the government needs to help attract investment in this sector to improve the country’s energy sufficiency. “We need legal certainties in various aspects, including in the usage of natural conservation areas as well as a fixed tariff set by the government,” Rony said at a media briefing on Tuesday. Thinking about joining a field trip? To add a field trip to your registration email: wgc2015@arinex.com.au. Field trip registrations close late March or when sold out. Limited places are available so be quick! • Lord of the Rings and Hobbits Middle Earth Adventure, 27th April – 1st May. The Bureau of Land Management (BLM) Cedar City Field Office has received a proposal from Enel Cove Fort, LLC (Enel) to drill six geothermal hot water wells in the vicinity of their existing Cove Fort facilities to support the expansion of their electricity generation capabilities. The BLM, in cooperation with the Fishlake National Forest (FS), requires the preparation of an environmental assessment in accordance with the National Environmental Policy Act of 1969 and Council on Environmental Quality regulations (40 CFR 1500—1508). The BLM and FS encourage public participation on the proposed project. Comments at this early stage are helpful in determining issues to address in the EA. Comments will be most helpful if received within 30 days from the date of publication of this notice. Please submit comments to: Attn: Cove Fort Geothermal, 150 East 900 North, Richfield, UT 84701. The GEO Act creates a limited categorical exclusion for geothermal exploration activities on public lands so companies can test resources in Nevada and other western states. “As many developers in Nevada know, the environmental review process for geothermal production is a grueling process. What’s worse is these companies are forced to go through the same process to simply test if a resource is viable. At a time when Nevada is playing a major role in the United States’ ‘all-of-the-above’ energy strategy, the last thing our geothermal entrepreneurs need is unnecessary bureaucratic red tape,” said Senator Dean Heller. Hawaii Electric Light Co. has selected GRC Member Company Ormat Technologies to provide an additional 25-megawatts of geothermal energy to the Big Island. The company, with headquarters in Reno, Nevada, already operates the state’s sole geothermal plant, Puna Geothermal Venture. “Ormat was selected based on numerous criteria, including attractive pricing, technical design and capability, financial soundness, as well as commitment to resolving all environmental issues and to working with our Hawai‘i Island communities,” Jay Ignacio, HELCO’s president, said in a press release. Last week, Congressman John Garamendi (D-Fairfield, CA), a former Deputy Secretary of the U.S. Interior Department, joined a bipartisan Congressional coalition urging lawmakers to preserve geothermal revenue sharing for local communities after the Administration decided to eliminate them in its proposed budget. “On the scale of the U.S. budget, geothermal royalty payments are a drop in the bucket, but in communities like Lake County, they are incredibly important,” Congressman Garamendi said. Basic Energy Corp. has signed an agreement with FEDS Energy Resources and Development Services to review and evaluate existing data and the geological and geochemical survey of its 4 geothermal power projects. Under the services agreement, FEDS will conduct the review and evaluation of existing data and the reconnaissance geological and geochemical field work of the power project areas to assess their technical viability. “The work is estimated to be completed in three months time. The results of the study will assist Basic in planning for the detailed surface exploration phase,” the company said. GRC Company Member Ormat Technologies, Inc. today announced financial results for the fourth quarter and full year ended December 31, 2014 including total revenues of $559.5 million in 2014, an increase of 4.9% from 2013. Isaac Angel, chief executive officer of Ormat, stated, "We enter 2015 with a healthy balance sheet, a strong pipeline, a balanced portfolio of operational and emerging projects around the world, strengthened by the contribution of the Don A. Campbell, Olkaria – Plant 3, and the recent initial operation of phase 2 of our McGinness Hills plant. This year, we will build upon the strong operating results within our electricity segment as we begin work on phase 2 of our Don A. Campbell plant, which we expect to complete by Q1 2016." 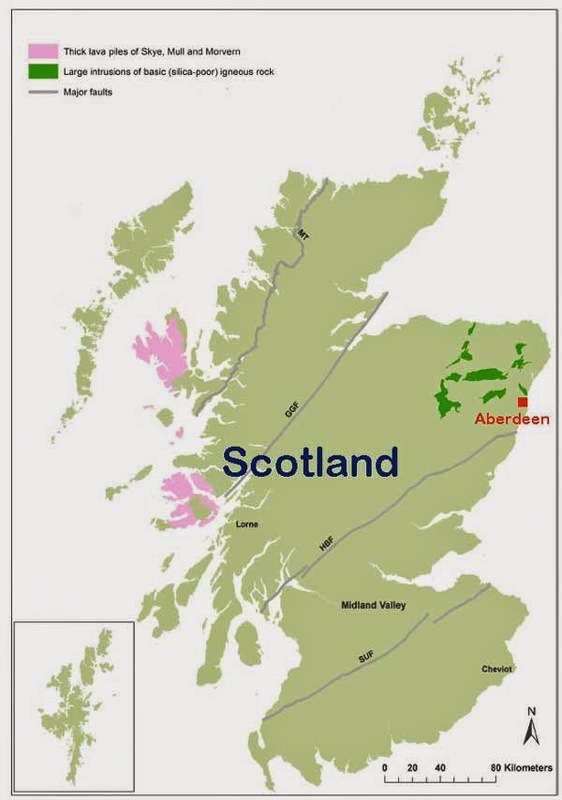 A workshop is being organised jointly by Glasgow University and Aberdeen Heat and Power Ltd. on development, funding routes and exploitation of Geothermal heat resources stored in granites at relatively low depths of Aberdeenshire district. This is based on the outcome of recent studies performed by Glasgow University in Aberdeenshire that have demonstrated a significant heat resource is available in the region and could possibly be used in meeting the local heat demand and contributing to the Scottish Government’s target of 12% of heat to come from renewable sources by 2020.
in the El Tatio region of Chile's Atacama desert. Geysers like Old Faithful in Yellowstone National Park erupt periodically because of loops or side-chambers in their underground plumbing, according to recent studies by volcanologists at the University of California, Berkeley. 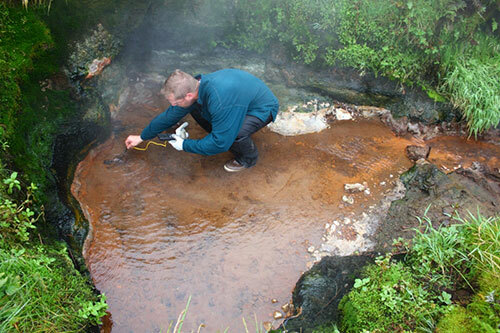 The key to geysers, said Michael Manga, a UC Berkeley professor of earth and planetary science, is an underground bend or loop that traps steam and then bubbles it out slowly to heat the water column above until it is just short of boiling. Eventually, the steam bubbles trigger sudden boiling from the top of the column, releasing pressure on the water below and allowing it to boil as well. The column essentially boils from the top downward, spewing water and steam hundreds of feet into the air. Manga and his colleagues, including first author Carolina Munoz-Saez, a UC Berkeley graduate student from Chile, report their findings on the Chilean geysers in the February 2015 issue of the Journal of Volcanology and Geothermal Research. The GRC is hosting a Workshop/Fieldtrip to Yellowstone National Park, June 22-26. The workshop will include a tour of the major geologic features of the Park, the site of the greatest concentration of geothermal features in the world, and discussions of its volcanic history, geochemistry, and hydrology. Electricity generating firm KenGen is seeking Sh8.2 billion to construct an additional geothermal unit at the Olkaria 1 plant to shore up the country’s installed power. The State-owned firm said the 70 MW project is valued at Sh18.2 billion but it can only raise Sh10 billion. KenGen managing director Albert Mugo said securing the remaining funds will set the stage for project implementation.“As soon as we get that we will be advertising for that project,” he said. Mr Mugo said an additional 15 MW is expected in May from geothermal wellheads – smaller power producing units that are installed on top of geothermal wells and help in early tapping of electricity- while waiting for the construction of big geothermal plants. 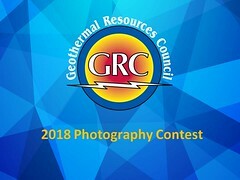 The geothermal industry’s efforts to grab a bigger slice of the growing renewable energy pie met with some success in 2014, though that wasn’t reflected in the United States, where questions remain as to when – or if – geothermal might become more than a relatively small, regional player. Previewing its latest annual report, the U.S.-based Geothermal Energy Association on Tuesday put 2014 global capacity additions at 620 megawatts. That was the most since 1997, but don’t get the idea there was a big ramp-up in the industry’s growth curve. “Overall, the global geothermal industry grew at about 5% for the third year in a row, reaching 12.8 GW (gigawatts),” the GEA said in a press release. Kenya’s rapid investment in geothermal power in recent years is increasingly paying dividends through the supply of reliable, clean energy and by lowering the cost of electricity to consumers. 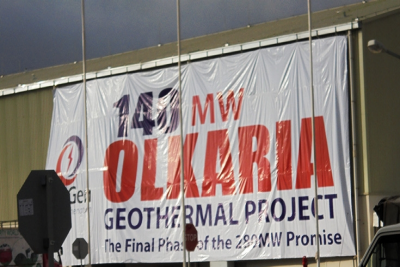 Geothermal’s contribution to the national energy mix increased to 51% last week, following the commissioning of two new plants with a combined capacity of 280 megawatts: Olkaria 1 and Olkaria 4 in the Rift Valley. Supported by the World Bank Group, Olkaria is one of the largest single geothermal investment projects in the world and geothermal is now the largest source of electricity for Kenya, ahead of hydro which has dominated the country’s power supply for decades. In 2010, geothermal accounted for a mere 13% of Kengen’s power mix. The aim of this biennial conference is to promote regional cooperation, create an information exchange platform on the exploration, development, investment and utilization of the geothermal resources in the region and elsewhere in the world. With geothermal power an increasing commodity in Indonesia, the support New Zealand provides is of ever increasing importance. For decades New Zealand has been working with Indonesia to help tap into its geothermal potential, with Dr. Greg Bignall, head of the geothermal department at GNS Science, understanding just how important this connection is. He has been involved in the geothermal connection for the past 20 years and said he had high hopes for the New Zealand-Indonesian geothermal relationship. 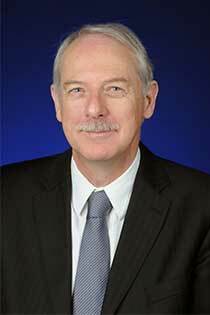 “The New Zealand prime minister and Indonesian president have indicated that geothermal is an important area by which we can strengthen bilateral links — and at GNS we want to play our part,” Bignall said. Mighty River Power's withdrawal from its geothermal operations overseas is largely behind a 93 per cent plunge in net profit in the half year to December 31. The company's exit from geothermal development in Chile and Germany resulted in non-cash impairments ($83 million) along with the favorable fair value movements of $20 million recognized in the previous half year. "As announced in December, following a rigorous review, we decided to exit international geothermal development options. The accounting implications of that is a key factor flowing through to the financial results for the period," said chairwoman Joan Withers. Yellowstone National Park is home to some astounding geothermal pools. These colorful natural phenomena occur due to interaction between underwater hot vents and bacteria that grow in lawns across the pools. Seventy years ago the geothermal pools of Yellowstone tended to have a uniformly deep blue color. Temperatures were higher because there were fewer tourists at the site. Over the years, coins, trash and rocks tossed into the pool have covered the natural vents. This has lowered temperatures in the pool and caused them to turn to an orange-yellow-green color. ‘When we started studying [the pools], it was clear we were just doing it for fun,’ says Michael Vollmer from Montana State University. The initial research may have been light-hearted, but the team soon discovered there was very little existing scientific literature on the subject. The Philippines government is bidding out geothermal projects after trimming the number of sites based on resource base, accessibility and readiness of transmission infrastructure. Department of Energy director Mario Marasigan said they chose the final 4 based on how well-studied the areas were, whether they were remote or accessible, and whether there was infrastructure to transmit energy. Chile's national oil company Empresa Nacional del Petróleo (Enap) is seeking to resolve pending issues for its 50 MW Cerro Pabellon geothermal project this year in order to have the first geothermal electricity for the country in 2017, CEO Malcelo Tokman told daily Pulso in an interview last week. Enap expects to start the project this year after completing discussions with its partner, Italian company Enel Green Power SpA. The plant will be installed in Antofagasta region to produce 375 GWh a year for the Norte Grande Interconnected System (SING). Enel Green Power holds 51% in the project, managed by the joint venture Geotermica del Norte. The companies obtained the environmental licence in 2012. Tokman said that Chile has a huge geothermal energy potential but the challenge is to implement new technology. Energy Development Corp. (EDC) on Friday said Unit 1 of the Bacman geothermal power plant is now operating at its 55 MW rated capacity, after it had completed the installation of a brand-new steam turbine. “We advised that Bac-Man Geothermal Inc., a wholly owned subsidiary of EDC that owns and operates the Bacman power plants, had completed the installation of the brand-new Toshiba steam turbine rotor unit and diaphragms for its Unit 1,” it said in a disclosure to the stock exchange. As such, Unit 1 is currently operating at its rated load of 55 MW, after conducting all commissioning works and tests on completion. “With the completion of a three-day capability run at 60 MW, the unit has now started its 30-day reliability run,” it added. The Bacman geothermal power plants in Bacon, Sorsogon province, and Manito, Albay province, run at 130 MW, consisting of Unit 1 (55 MW), Unit 2 (60 MW) and Unit 3 (20 MW). Geothermal is not only cheap and green, but it’s also a source of reliable base-load energy. Renewable energy is actually better than fossil fuels in the sense that prices don’t fluctuate wildly due to foreseen geopolitical or economic events. The knock on alternatives like wind and solar is base-load power – or lack thereof. In essence, base-load means reliability – when you flick the switch, do the lights come on. If there’s no wind, turbines won’t produce electricity. Similarly, if it’s a cloudy day, solar generation becomes difficult. However, geothermal is not only cheap and green, but it’s also a source of reliable base-load energy. The U.S. Air National Guard is looking at how the base can tap into potential geothermal resources identified in a preliminary test at the Crater Lake-Klamath Regional Airport in Klamath Falls, Oregon. Cherpeski said geothermal resources at the airport could also help the city market its industrial business park. A research effort is underway to see if an outside agency can help fund the drilling of a test well at the site, according to Lt. Col. Tim Bruner. Bruner said geothermal resources could give the base the capacity to create a portion of its own power, which he said could help the long-term future of the base. The Kenya Electricity Generating Company (KenGen) will set up a special economic zone close to the geothermal plants in Olkaria to offer subsidized power to manufacturers. President Uhuru Kenyatta on Thursday said creation of these special zones would see manufacturers offered discounts on power bills because of lower transmission costs from the plants to the industrial hubs. “Special Economic Zones and EPZs (Export Processing Zones) will benefit from concessionary power rates to catalyse industrial production,” said Mr Kenyatta during the commissioning of 140 megawatts at KenGen’s Olkaria 1 Power Project that is part of the ongoing 5,000-megawatt program. Last year, the U.S. Congress extended the Production Tax Credit (PTC) under section 45 of the Code through the end of 2014 for qualifying renewable energy facilities, such as wind, solar, biomass, geothermal, landfill gas, municipal solid waste, hydroelectric, and marine and hydrokinetic facilities. To qualify for the PTC, construction of the qualified facility must have begun before January 1, 2015. The PTC is a credit per kilowatt-hour of electricity produced from qualified energy facilities. The base amount of the PTC (indexed annually for inflation) is 1.5 cents per kilowatt hour of electricity produced from wind, closed-loop biomass, geothermal energy and solar energy, and 0.75 cents per kilowatt hour for electricity produced in open-loop biomass, small irrigation power, landfill gas, trash, qualified hydropower, and marine and hydrokinetic renewable energy facilities. In 2014, the credit was 2.3 cents per kilowatt hour for qualified resources in the first group and 1.1 cents per kilowatt hour for qualified resources in the second group. 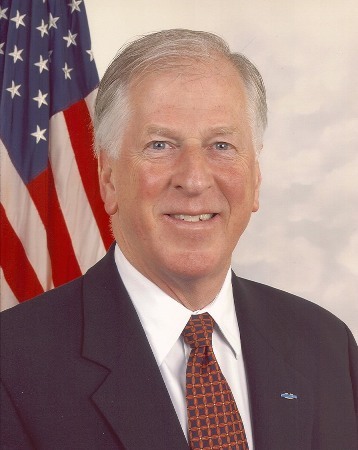 U.S. Rep. Mike Thompson (D-CA) on Wednesday led a bipartisan coalition of legislators in calling on President Barack Obama to protect local clean energy royalties – which have helped pay for important public projects in Lake County – from harmful budget cuts. In a letter to the president, Thompson and the lawmakers expressed their disappointment that geothermal royalty payments to counties were eliminated in the President’s recently released fiscal year 2016 budget. Because of the high burdens that geothermal production places on the counties where it is developed, counties currently share in the revenue of the federal receipts. Many of the counties receiving revenue from geothermal receipts are small, rural counties – like Lake – facing uncertain budget situations. Such revenues have brought millions of dollars to Lake County over the past decade. In fiscal year 2014 alone, Lake County received more than $959,000 in geothermal royalties. The funding has assisted Lake County with such projects as the purchase of more than 1,500 acres on Mt. Konocti that has been made into a county park. Geothermal royalties also have assisted in projects such as repairs at the new Gibson Museum and Cultural Center in Middletown. But the funds are under a continual threat of cuts. The Philippines Department of Environment and Natural Resources (DENR) yesterday bestowed its “Official Seal of Approval” to eight business establishments, including two geothermal power plants, for showing “consistent excellence” in meeting the highest environmental standards. DENR Secretary Ramon J.P. Paje extolled the awardees under the Track 1 Category of the Philippine Environment Partnership Program (PEPP) for integrating environmental protection into their everyday operations. He congratulated the awardees for their innovation, ingenuity and investment in environmental protection. Green Core Geothermal Inc. and the Mt. Apo Geothermal Project of Energy Development Corp. received the DENR seal during an award ceremony held at the Luxent Hotel in Quezon City. The Mt. Apo Geothermal Project was a return awardee, having received the Seal in 2012 and 2013. As part of the award, recipients get an additional one year of permit validity, relaxed submission of required reports, and simplified requirements in securing an environmental compliance certificate for expansion projects. Kenya is now the 7th highest producer of Geothermal power as it unveiled the biggest geothermal plant in the world adding an extra 280 MW to the national grid. President Uhuru Kenyatta and President Paul Kagame of Rwanda cut the ribbon at the plant in Naivasha, Nakuru County. Auckland based Hawkins Group, New Zealand’s largest privately owned infrastructure and construction business, has announced they will be involved in developing the Lumut Balai and Karaha geothermal power stations in Indonesia. The two plants, owned by state-owned Pertamina Geothermal Energy, will be built by Hawkins in a joint venture with Indonesian partner Banguan Cipta Kontractor (BCK). Lumut Balai is located in South West Sumatra on a remote site some 1300m above sea level. Hawkins has been appointed to design, procure and construct the civil and building services work to the power plant plus the installation of all Toshiba supplied power plant equipment. The contract also includes the commission of all above ground steamfield activities. The project period is 24 months from January 2015. The Karaha power plant, is located in West Java, 1200m above sea level and is also a design, procurement and construction services contract to house the Alstom supplied power plant equipment as well as commissioning all above ground steamfield activities. The project will last around 23 months from January 2015. Hawkins has experience in delivering geothermal projects in New Zealand having successfully completed the Kawerau Geothermal Power Station, Ngatamariki Steamfield and Nga Awa Purua Geothermal Power Station. The U.S. Energy Department's Office of Energy Efficiency and Renewable Energy will present a series of webinars on its Fiscal Year 2016 budget request. The webinar for renewable energy will feature Deputy Assistant Secretary for Renewable Power Doug Hollett, late manager of the Geothermal Technologies Office, providing an in- depth presentation of the budget proposal for renewables including geothermal energy, and an opportunity for participants to ask questions. Thursday, March 5, from 2:30 p.m. to 3:30 p.m. Eastern Standard Time: Renewable Power, led by Deputy Assistant Secretary Doug Hollett. Register for the webinar. A new report by a leading natural resources legal expert aims to clear up issues around the ownership of minerals found in geothermal fluids. Professor Barry Barton from the University of Waikato’s Te Piringa – Faculty of Law and director of the Centre for Environmental, Resources and Energy Law, has completed his research into the issue and the report is the culmination of his role in a two year, $400,000 project with GNS Science: From Waste to Wealth: Commercial Recovery of Products from Geothermal Fluids. Professor Barton’s role was to establish the legal framework around the ownership of the minerals found in geothermal fluids. He says his research was an “effort to put a bit of clarity to an interesting piece of New Zealand law”. He found that under the Resource Management Act, those with water rights also had rights to minerals in the water, but the issue got more complicated if the Crown Minerals Act was involved. It came down to a statutory interpretation of the word ‘mining’ and whether the removal of minerals from geothermal fluids could be considered mining. GNS Science will be holding a stakeholder workshop in July 2015 for interested parties to discuss the content of these reports and future opportunities for recovery of minerals from geothermal fluids. If you would like to attend this workshop please email feedback@waste2wealth.co.nz and GNS will keep you posted. Vancouver based Alternative Earth Resources Inc. formerly Nevada Geothermal Power Inc. (NGP), today announced results for the three and six months ended December 31, 2014 and gave an update on its remaining geothermal energy assets. AER has greatly reduced its overhead, project carrying costs and long term liabilities while increasing its cash position through the sale of project assets. As at December 31, 2014, the company’s assets consist primarily of cash and cash equivalents of US$2.2 million. Alternative Earth Resources has sold or optioned three of its four geothermal development projects in the U.S. for cash, thereby reducing project carrying costs to zero. At the Pumpernickel project, which was not included in the sale, AER has terminated its private leases and kept its two BLM leases. The company has recently plugged and abandoned the existing thermal gradient wells at Pumpernickel in order to discontinue its interest and recover its geothermal well bonds. Well liabilities are expected to be extinguished and the company expects to recover certain well bonds in California and Nevada by March 31, 2015. Going forward, AER is evaluating advanced stage mineral projects for potential acquisition. 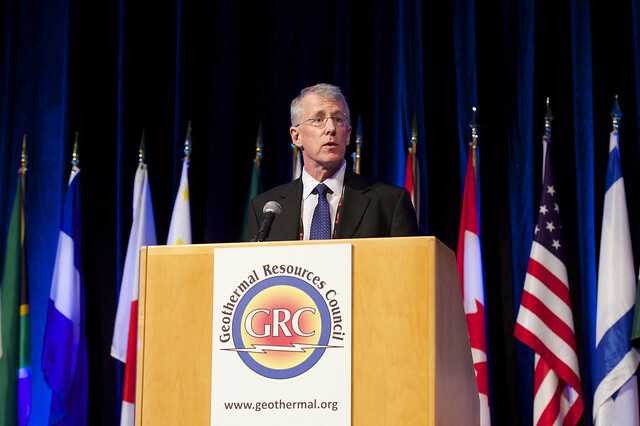 Geothermal Resource Group, Inc. of Palm Desert, California has announced the addition of GRC Board Member Dennis Kaspereit to its executive management staff. Dennis is a graduate of the University of Southern California with a Bachelor of Science degree in Mechanical Engineering. Dennis has over twenty-five years of experience in the geothermal industry, with an additional thirteen years of experience in Oil & Gas, with a strong reservoir engineering background. Prior to joining Geothermal Resource Group (GRG), Dennis was the Vice President – Geothermal Resources for Terra-Gen Power, LLC where he led the resource, drilling and exploration efforts at their Coso, Dixie Valley, and Beowawe fields, as well has their exploration assets. Dennis has also served as Director of Geothermal Resources for CalEnergy, where he also led the resource, drilling, and expansion/exploration efforts of the Salton Sea, Roosevelt Hot Springs, and Desert Peak fields. Dennis’ experience includes the initial development of the nine Coso plants, the last three plants built at the Salton Sea, as well as development plans for Salton Sea, Roosevelt, Medicine Lake, Dieng and Patuha fields.